Georges van der Straeten (1856-1928) bust on onyx mount. Art Nouveau woman flowing dress and hair. Nice even patina, signed on lower shoulder also French foundry mark on back. Stands approx 7 1/2” tall counting the 1” onyx. 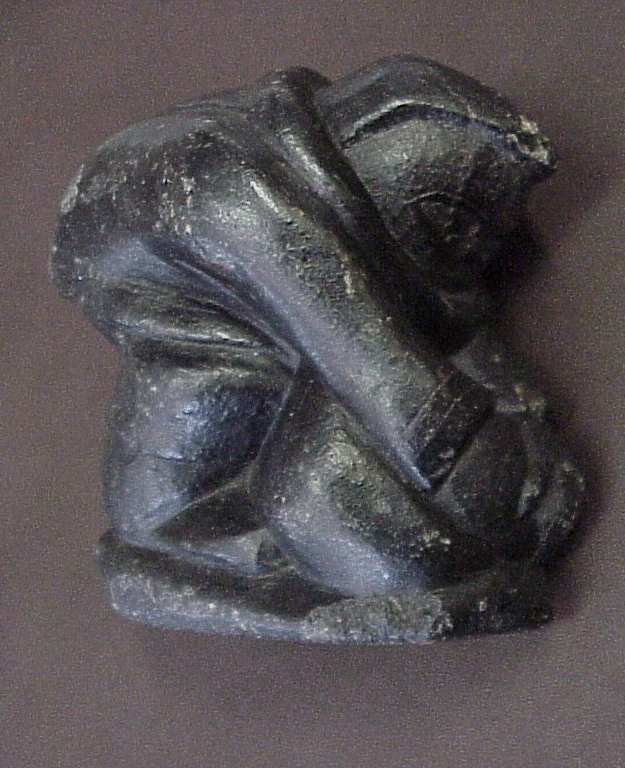 Inuit Soapstone Carving Jimmy Inaruli Arnamissak. Very nice Inuit soapstone carving depicting an eskimo scooping snow. Nice detail to figure, soapstone has been rubbed out with mineral oil and beeswax to enhance piece and protect. So minor chips to high spots on figure (email for additional photos if needed). 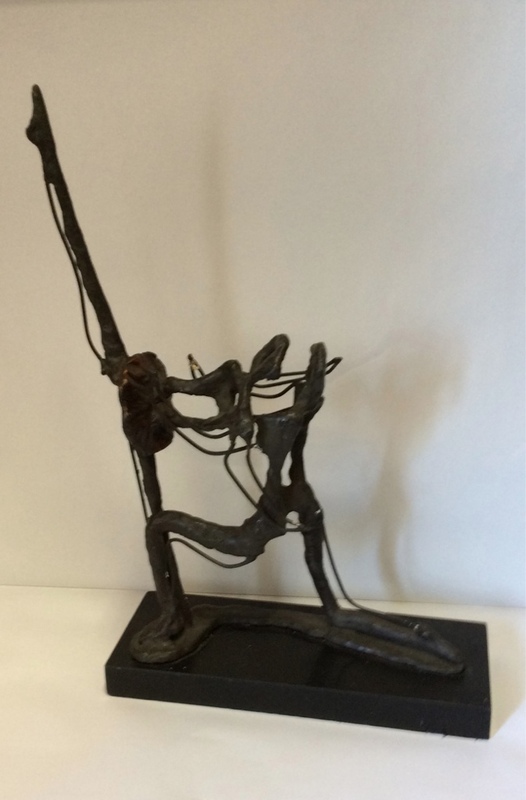 Sculpture stands approx 3 1/4" tall, 3" long and 2 1/2" wide at shoulders. Signed on base Jimmy 64-14. 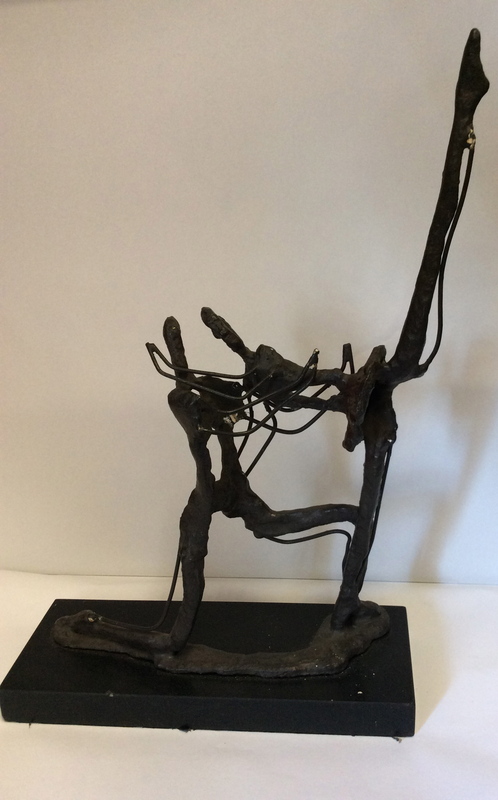 From signature, quality of work and face we believe this to be the work of Jimmy Inaruli Arnamissak. Artist b1946-2003. 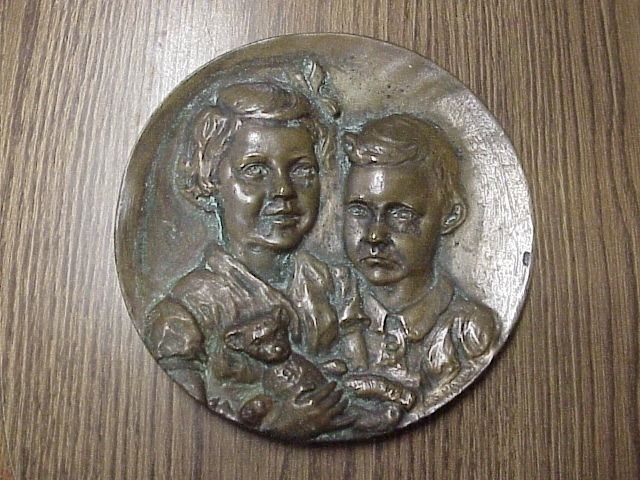 Raised decorated bronze plaque marked upper left Ophelia who is the subject matter. Otherwise this c1900 plaque is unsigned. 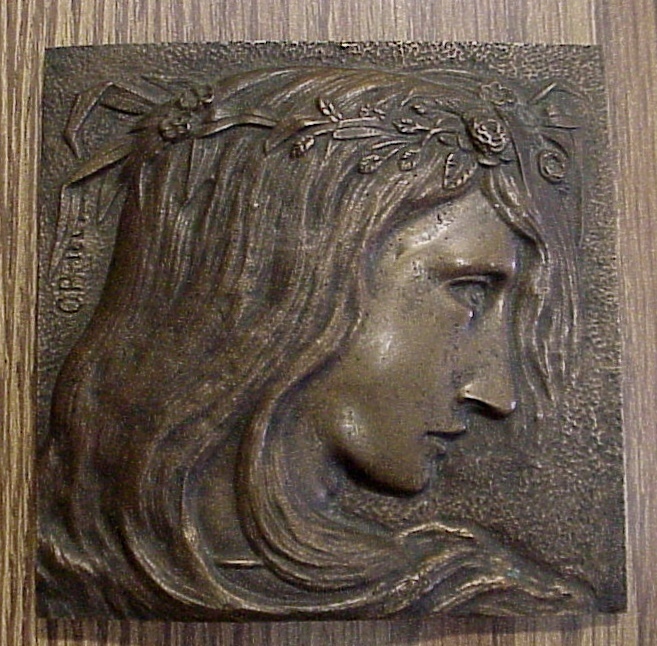 Art Nouveau design Ophelia with flowers in hair, approx 5 3/4” square. 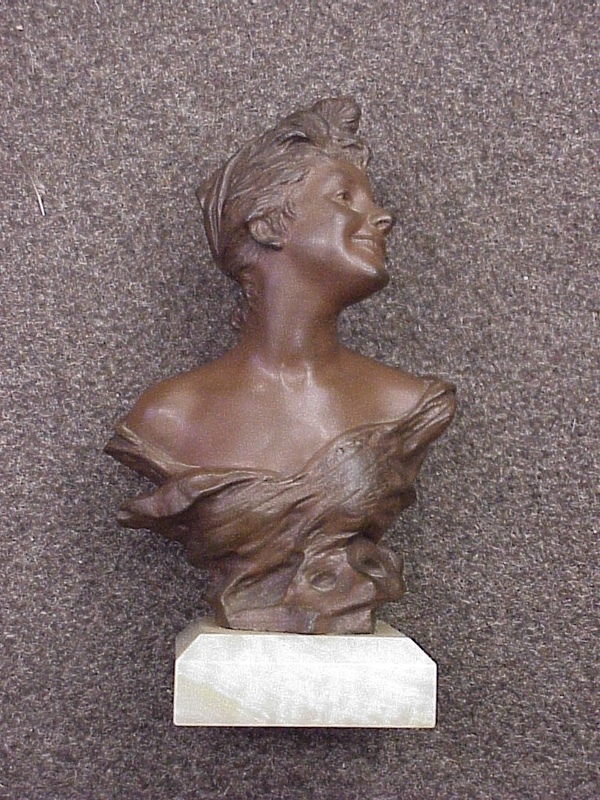 Cast design has an approx raise of 1/2” in spots giving nice depth to bronze. Would be great mounted to wood as a wall hanging. 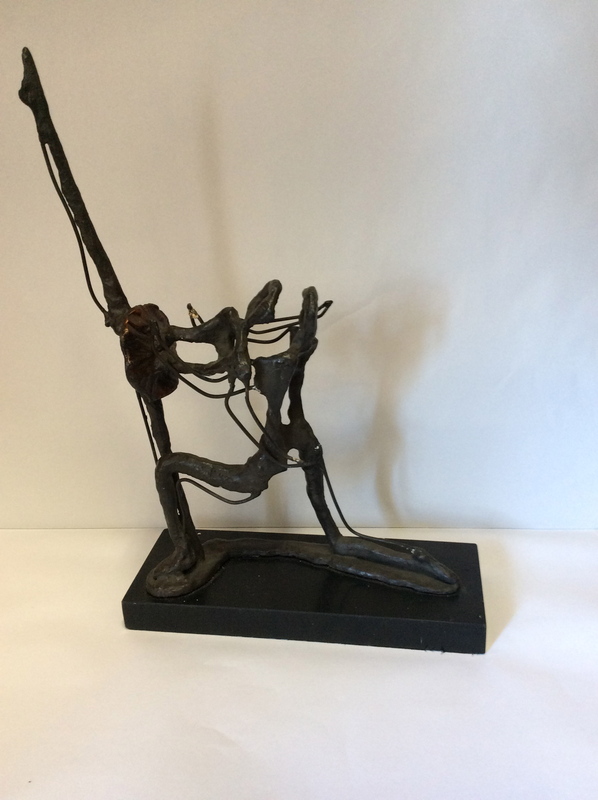 In the manner of Alberto Giacometti is the brutalist era (1960-70’s) wire sculpture of two ballet dancers on black marble mount. Vintage there are some areas with loss to wire plaster covering. Tallest section is 16”, marble is 10 1/2” long and 4” wide. Marble has small bevelled edge. Some paint highlights to sculpture, woman’s tutu has a gold hue. 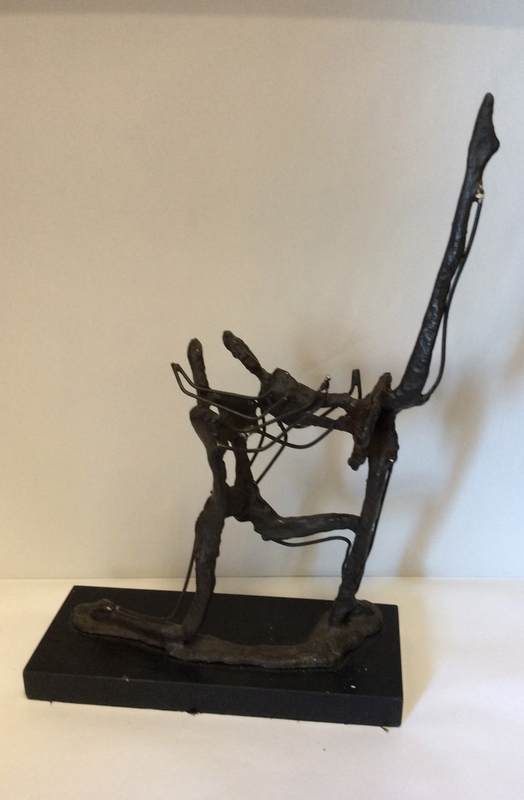 Beautiful bronze by listed artist Paul Ludwig Kowalczewski. 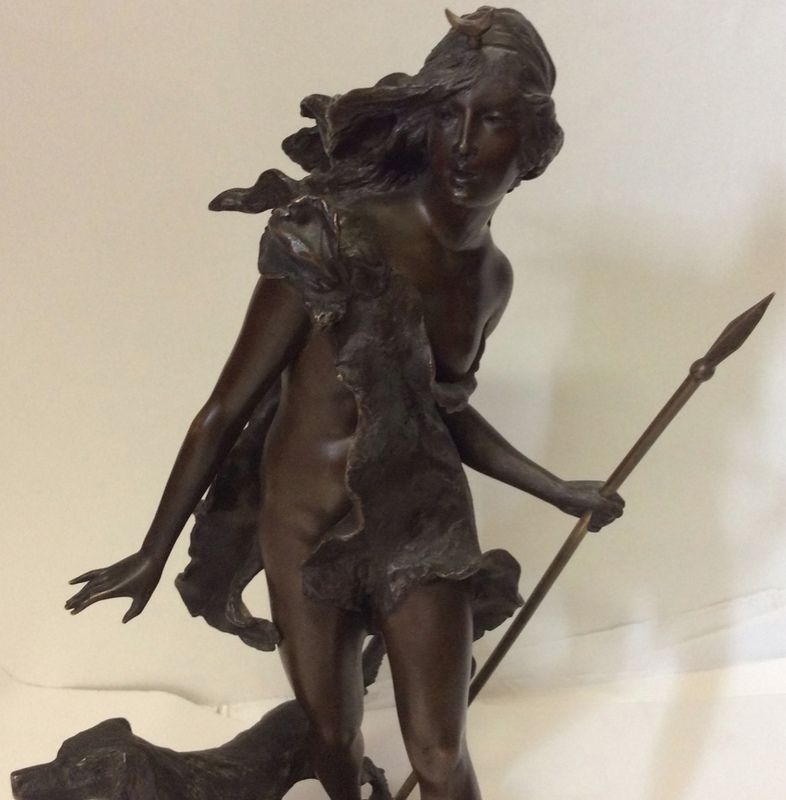 German (1865-1910), Diana the Huntress, artist signature on base, attached to green onyx base. Approx 13” high.